It's not exactly a hidden gem on the landscape photographer's list, but the Highlands really are rather special aren't they? And despite it being only a night train ride away, I've not explored it at all. Shameful. Thankfully, my great long time chum and fellow photographer, Simon Brice, organised a weekend with two more excellent people - Patrick Byrne and Fiona Campbell - who are lucky enough to live in Fort William. A seriously big thanks to Patrick for letting us treat his splendid house like a hotel with a free bar for the weekend, and thanks to Fiona for loaning us her local knowledge and for putting up with our banter. Lovely people make for a lovely weekend. It was not always dry (something of an understatement) but one doesn't go to the Highlands for that. The rain did make conditions challenging a few times, but we got some decent shots between us. Here are a few of mine. 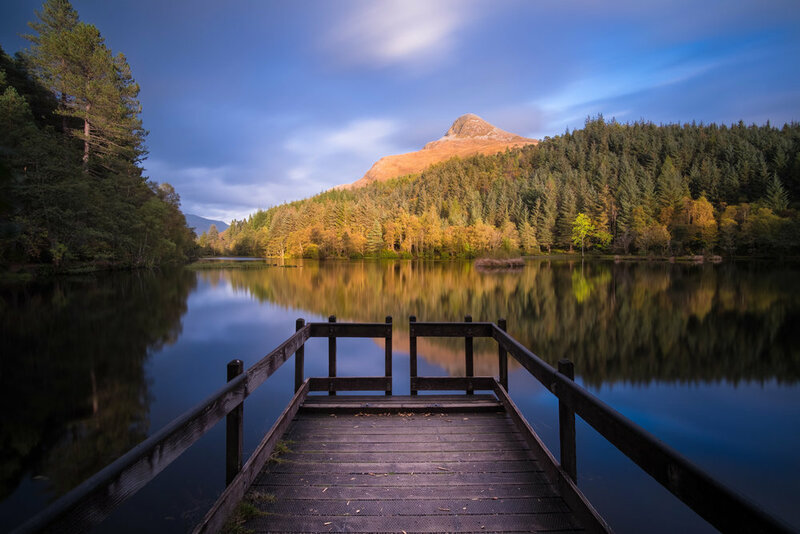 They are taken in the areas around Glencoe (Buachaille etive mor), on the Lochan, the coast up towards Mallaig, and Glenfinnan. I used the Fuji X-T2 mainly and broke out the Canon 5D II and TSE24 a bit (although that requires more patience than I often had when battling with the elements). The Fuji performed really well as usual - I really love this camera. Lee filters featured a lot too.